Steps to a quality life style in Coolidge Corner. 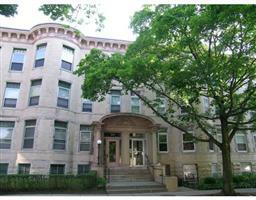 Sun filled 1 bd 1 bth steps to a quality life style in Coolidge Corner. This 1920 brownstone condo w/high ceilings & traditional period details offers top floor light full western exposure living, well maintained building, freshly painted, oversized windows, gleaming hardwood floors, ample storage w/extra basement storage, laundry & bike storage in basement. Seller to pay 1st month rental parking. Pets welcome. Wonderful use of space. A hidden Jewel!